GEISENHEIM, Germany — For an endeavor often associated with simple tools, modern agriculture is a hive of engineering activity. Some of the development work targets mitigation strategies for environmental challenges; other research focuses on tech solutions for cultivation and harvesting. 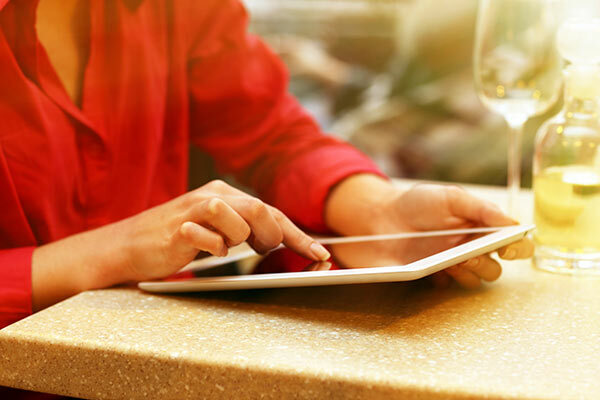 Advanced sensors, software, and systems that can operate precisely and under harsh conditions in the field are critical for monitoring and managing the multiple aspects of growing productive plants. Fig 1. 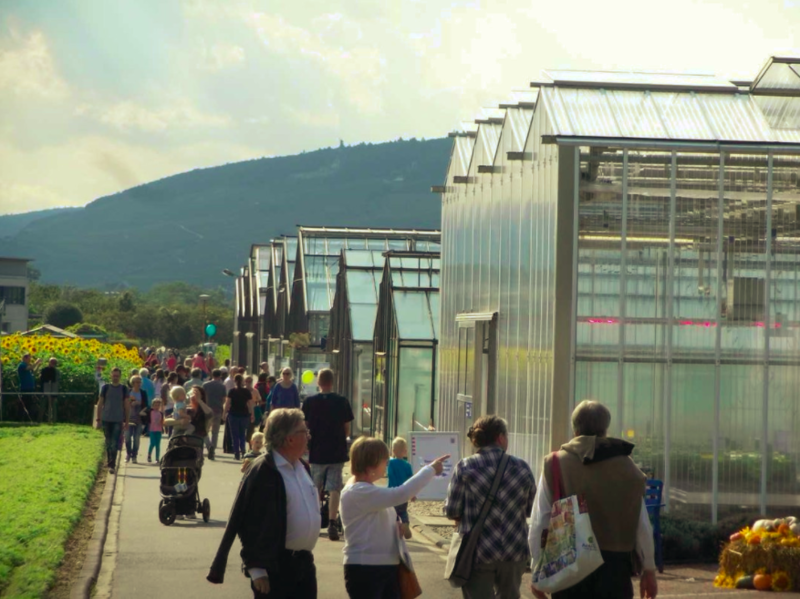 An open house at Geisenheim University showcased the convergence of high tech and agriculture. 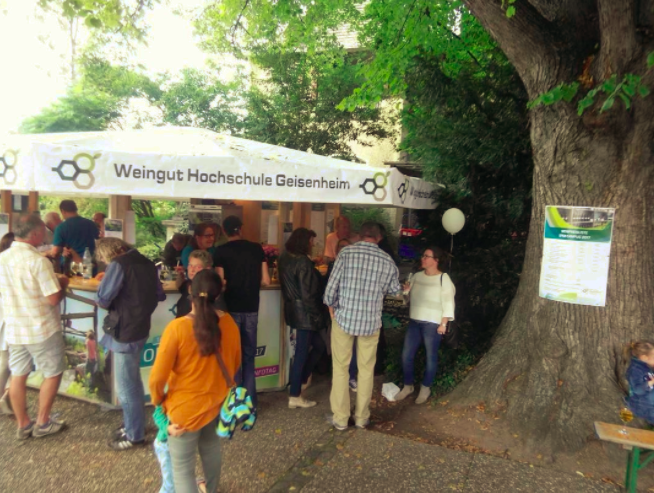 Germany, a country known for both its agriculture and its high tech, had an opportunity to showcase both at a recent open house at Geisenheim University, an agricultural institute situated in one of the best wine regions in Europe (Figure 1). Unsurprisingly, much of the research conducted at Geisenheim focuses on viticulture (Figure 2). Fig 2. 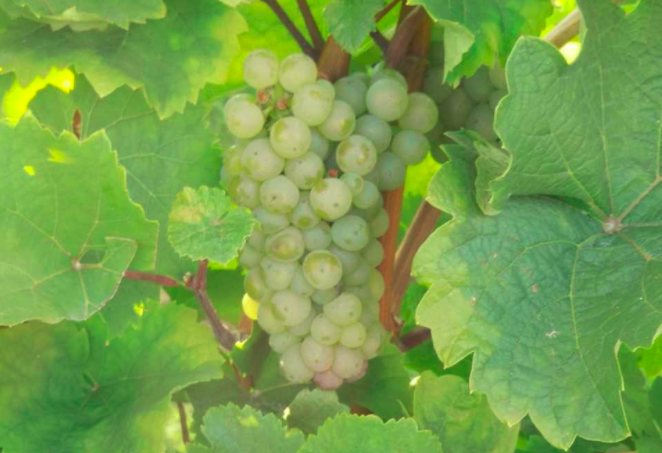 The focus of much research at Geisenheim is the wine grape and its product. Fig. 3. These emitters maintain a heightened level of CO2 around a group of test vines to simulate future environmental conditions. The first thing that catches the eye of a visitor to the university’s vineyards (yes, the academics also make their own wine) is the collection of large, otherworldly-looking emitter rings popping up above some of the vines (Figure 3). The LOEWE research cluster FACE2FACE has deployed Free Air Carbon Dioxide Enrichment (FACE) systems in open-air test facilities at Geisenheim and at Justus Liebig University (Giessen, Germany) to coordinate research into the effects of rising atmospheric levels of CO2 on plant growth. The emitter towers spray a stream of the gas onto the vines to simulate the future environment. 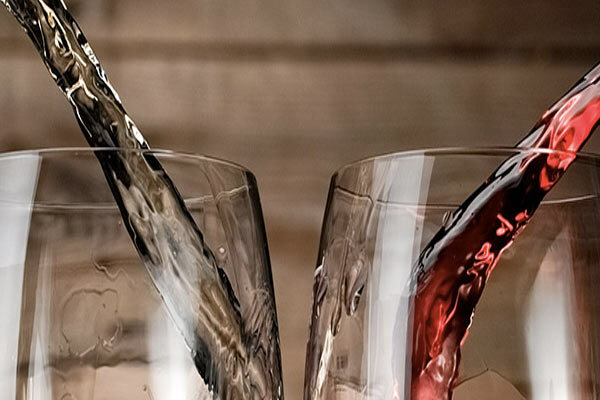 Global warming may be under debate, but rising CO2 levels are a fact, and the resultant impact on grapes grown for winemaking must be investigated. 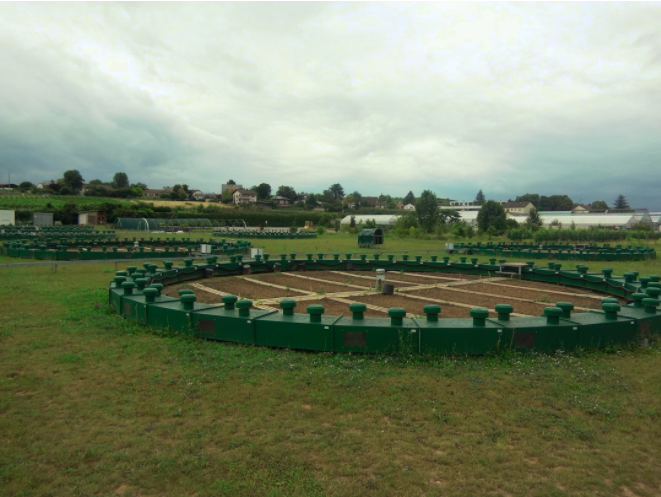 Geisenheim is conducting similar research on vegetables, but the setup in the vegetable field isn’t as tall (Figure 4). Fig 4. 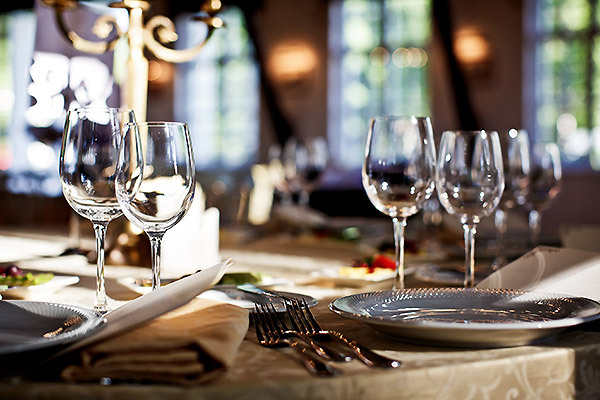 The vegetable-oriented test apparatus also monitors and controls temperature. Fig. 5. A look at the chlorophyll sensor head. Fig 6. Dr. Susanne Tittmann works with the management software to program the sensors. FACE systems regulate CO2 levels (and for the vegetables, air temperature as well) over defined areas, making it possible to simulate the conditions expected between now and 2050. 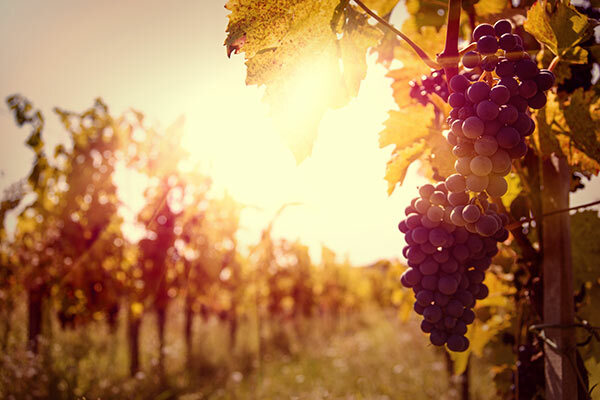 Focusing on agricultural ecosystems pertaining to grassland, viticulture, and horticulture, the research aims to develop climate change adjustment strategies, including ways to mitigate the effects of global warming on crops. Of course, one must be able to measure what one has set up, and the FACE installations are no exception. 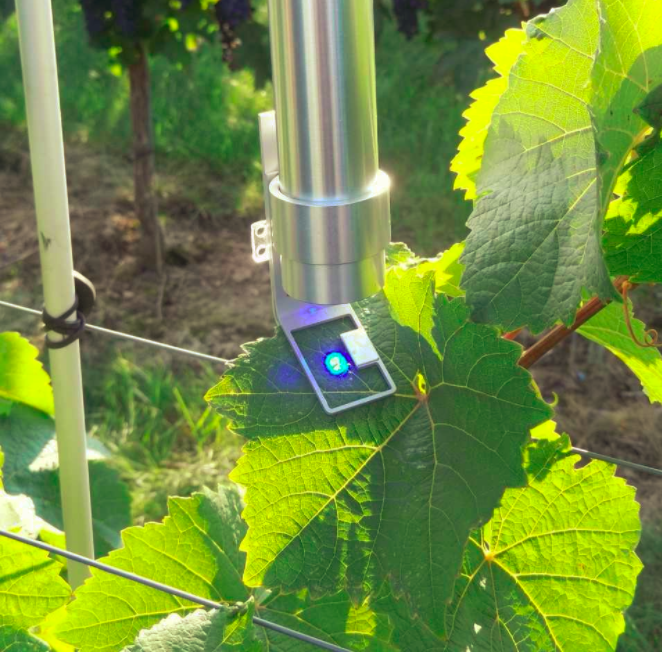 In addition to the sensors that monitor CO2 levels and adjust the gas output, there are chlorophyll sensors that take constant readings of plant metabolism and growth (Figure 5), along with control and recording electronics to manage and monitor the project (Figure 6). 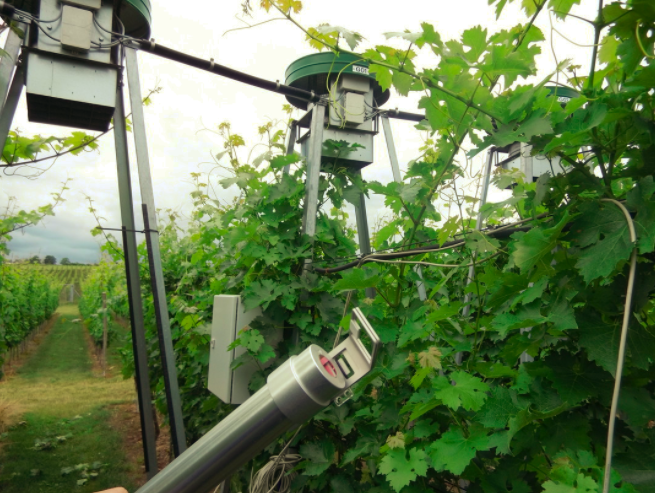 The sensors check levels every several minutes, providing a near-real-time monitoring of growth and development (Figure 7). The systems must be robust to survive in the field. Fig. 7. The chlorophyll sensor off (a) and on (b). The sensors check levels every several minutes. Sunlike spectrum Another agricultural research area, with applicability for everyone from hobbyists to vertical factory farmers, is grow lights. Spectrum-specific LED grow lights can save a lot of energy, but some believe that for certain plant species only wide-spectrum light allows the plant to develop properly. The university’s Institute for Urban Gardening and Plant Development is researching high-efficiency wide-spectrum lamps to determine whether the wider-range output is beneficial to plant growth. Able to operate at half the power of a standard incandescent, the plasma technology (provided by Plasma International) is used in test-rigged horticulture lamps to deliver efficient light with a sunlike spectrum (Figure 8). Expectations are that the additional light will shorten the required culture period while still producing plants that are healthier and of better quality than plants grown under conventional greenhouse lamps. The best part about an open house at a university that makes its own wine is taking a break after looking at all the tech. 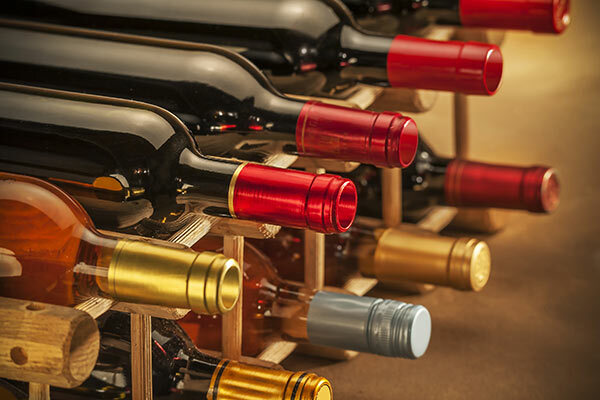 A wine booth at the event (Figure 9) reminded the researchers why they are doing what they do: so that people can continue to enjoy wine — and food — for the foreseeable future. Fig. 8. Enjoying the fruits of research. By Alix Paultre September 15, 2017 Source: EETimes.com— Alix Paultre is a European correspondent for EE Times.